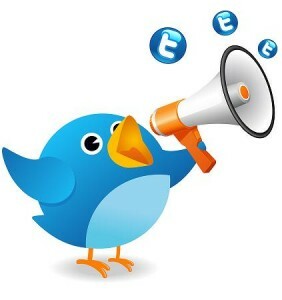 Blue Crayon - How To Advertising and Branding 101: Digital Marketing Guide: How Do I Increase My Twitter Following? Digital Marketing Guide: How Do I Increase My Twitter Following? It's important to remember that chasing numbers can be futile, since even those with envied Twitter followings may not have as many followers as the numbers indicate they do. Even so, the first thing many people do when they hear of a name, a company or a brand is search for it on Google and Twitter, so there are benefits to a robust following, especially if they are organic and engaged. 1. Tweet about stuff you know and love. Your passion and expertise will show and people will recognize it. 2. Make sure your Twitter account name reflects who you are and what you do. For those whose name isn't a brand in its own right, pick one that's short and to the point. When third generation NYC journalist Jonathan Mandell decided to tweet about theater, he picked @newyorktheater. 3. Related to No. 2, make sure you fill out the bio that shows up under your account name. In case your name is your account name, put your city and description. 4. Follow people. Yes, some of them will follow you back and many won't, but to participate in the Twitter economy, follow. This goes for individuals and companies. 5. Read other people's tweets and ask questions, clarifications and followups. If you're a company, take the complaints offline -- but take them for sure. 6. Unless you're @nytimes or @cnn, don't just hose us with links to your stuff. Throw in observations, funny things you see during the day. Go ahead and break the unofficial rule and tweet what you're having for lunch once in a while. Because someone's going to say they also had a $5 footlong. And that someone could be your next big client. 7. Don't link and run. Even when you post links to your work and intersperse them with links to things you find interesting, stick around for the discussion. Attend to everyone who messages you and especially those who @ you. People remember if they didn't get a response. 8. Tweet consistently. Nothing is more depressing than looking up an account with one tweet from 2010 and two from 2009. Total. (Hi, @redlobster.) Hire someone! 9. If you hire someone to tweet for you or your brand, make sure you trust them. Because if you trust them, they'll be able to have a personality. 10. Remember the Murphy's Law of Twitter is (thanks to @kevinmarks) that being retweeted gets you more followers, but tweeting loses them. So be sure to say things that get retweeted! It's awesome iin favor of me to have a web page, which is helpful in support of my know-how.